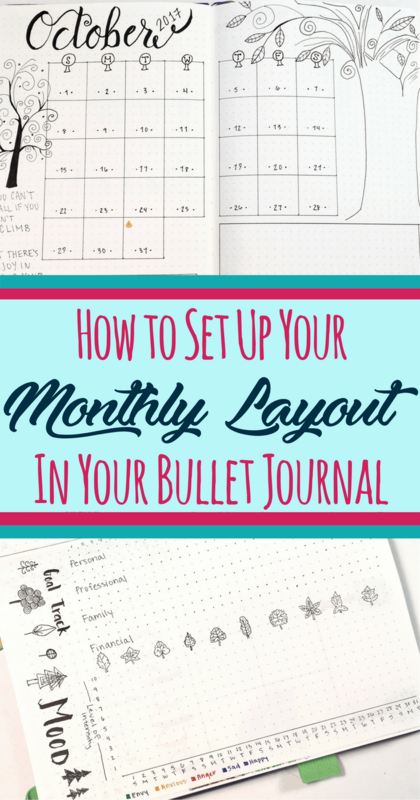 In honor of a brand new month, I figured it would be fun to discuss how to set up a monthly layout in your bullet journal! 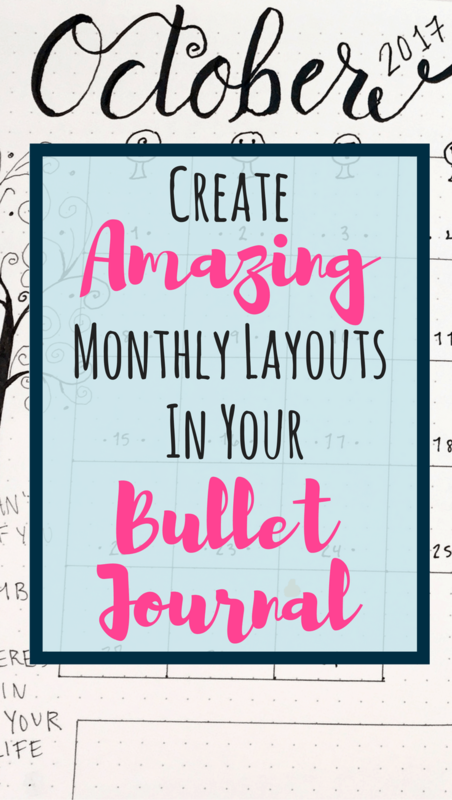 The start of each month is always an exciting and bustling time for those in the bullet journal community! 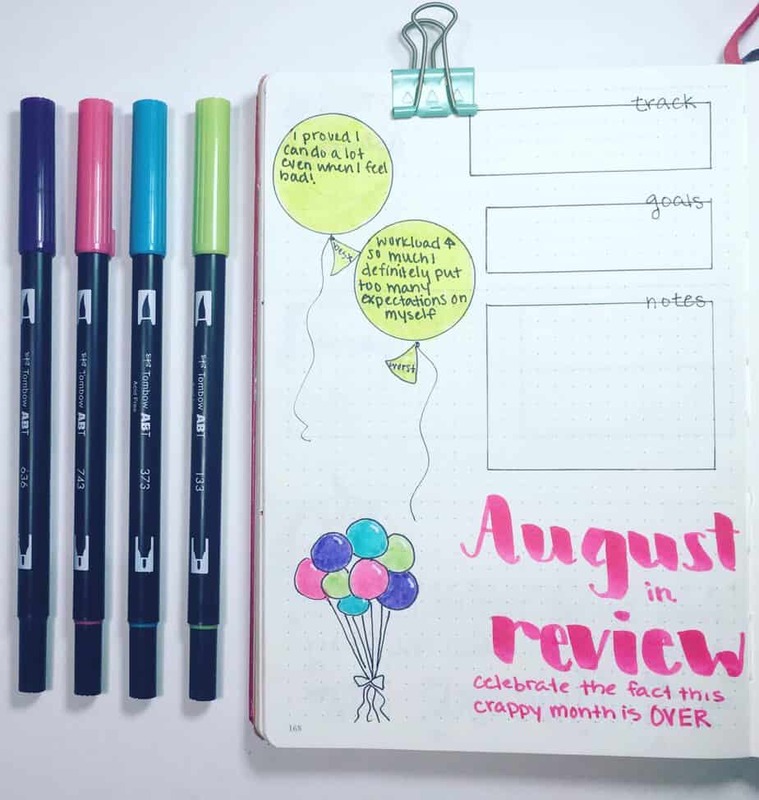 After all, if you check out bullet journal Instagram accounts, you may see people showing off their newest additions. Common elements seen include beautifully illustrated cover pages, hand-drawn calendars, and detailed trackers. And if you’re new, you likely feel overwhelmed by it all. (By the way, this isn’t uncommon!). 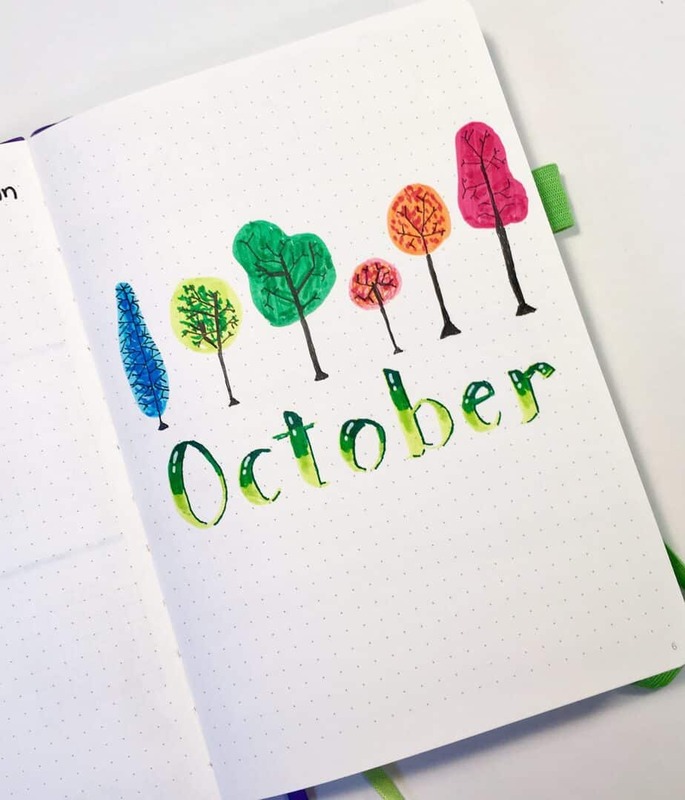 Even if you’ve been using a bullet journal for a little while, you may still be getting a sense of how to make the perfect spreads to start out a new month. Cover Page- This is the page that introduces a new month. Calendar- This is where you create you monthly calendar; a general overview of the month. People generally summarize their activities for the month here. The monthly calendar may also include a to-do list and a note section. Habit Trackers- There are many types of habit trackers that exist, and people often like to keep them in one place to observe trends and behaviors. Collections- While collections aren’t necessary, people may include collections for items that are relevant to their month. For example, the month of December may include a ‘Christmas Ideas’ collection. A Monthly Review- This particular monthly layout spread is a little unique as it’s featured at the end of the month. For simplicity sake, the easiest place to put it is the page before a cover page! What’s really exciting though is that you don’t need to follow a specific format for your monthly layout! You can choose to be creative and include many spreads and pages! Or, if you prefer, you may prefer to have a simple, minimalistic layout. Choosing what to use in your monthly layout is just as variable as the pages you put in it! I made an entire post on my favorite tools for bullet journals. Some of the tools I always utilize in my monthly layout include my Staedtler Fineliner Pens, which are a lovely way to add color and flair. The black fineliners are easy for creating your lines and boxes, though the colored fineliners are fun for the same purpose. Beyond creating lines and boxes, they color well, too! I’ve also recently started using the Sakura Pigma Micron pens. They are a bit wetter than the fineliners; however, they come in different sizes! The 005 pen is very fine and creates very small lines. On the other hand, the 08 pen has a much wider nib, creating thicker lines. Even better? There are more sizes in between! The black Tombow Fudenosuke brush pen is an easy to utilize tool to create beautiful brush lettering for your spreads. I particularly like them for my cover page lettering! The nib is a bit more firm, which makes controlling the size of your letters easier in my opinion. 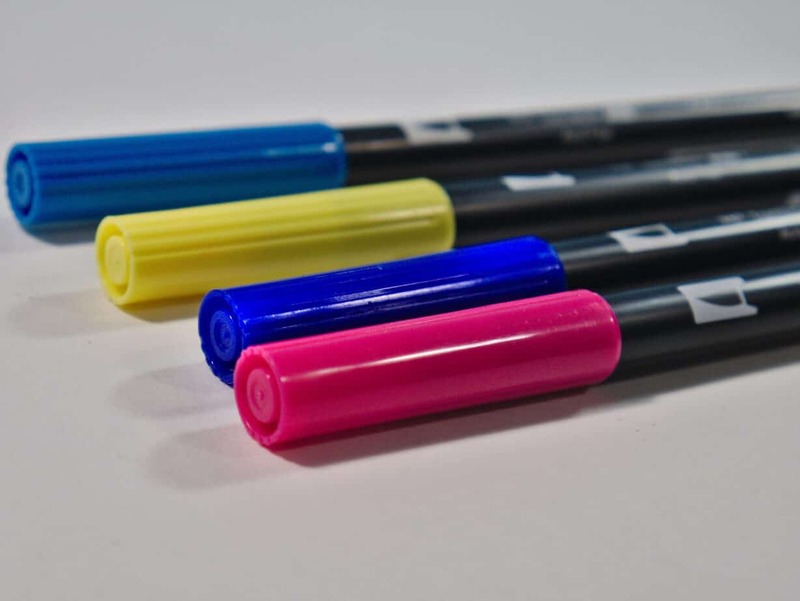 Tombow also has dual tip brush pens that are fantastic for adding a little color and flair to your writing or coloring. My recent favorites are the galaxy set and the pastel set. If you are a beginner, I really recommend the bright set. Also can’t forget the ruler! I can’t draw straight lines worth anything, so this amazing six inch Westcott ruler is easy to use for whatever you need to draw straight. Your cover page is virtually your introduction to the month page. Most people use one page for this, but I’ve seen some people use two! You can be as simplistic or detailed as you want. Here are some of the monthly cover pages I’ve found inspiring recently! Created by Leona on her Instagram page! Can’t go wrong with a beautiful ‘leaf’ cover page for October! Made by Giordana on her Instagram page! Also, some people forgo the page entirely and just use the monthly calendar to start off their new month. Your calendar is your home to, well, uh, your calendar! How you create your calendar is up to you! Most people seem to utilize two pages for this task, but I’ve seen people do it with one. You also don’t have to make a ‘calendar’ either. I’ve seen people create a system that represents a timeline as well. Additional components people may add to their monthly calendars include a note section, a to-do section, and a goals section. A lovely layout of the monthly calendar by bulletingbird on Instagram! A gorgeous ‘list ‘ calendar on by Maria on her Instagram page! Every time I see this calendar spread with its little door I melt! Go check out Liddy’s creativity on her Instagram page! 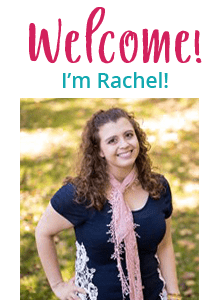 Here is my blog post about how I prefer to organize my trackers, and I use many different ones at the start of each month! Most monthly layout trackers are some type of habit tracker. However, this doesn’t always need to be the case! I feel like a broken record saying this, but you can literally track anything you want! Here are some inspirational trackers that I’d like to share with you! I love this detailed tracker showing all the completed data! Shared by SERA on her Instagram page! I love this creative mood tracker! Clever idea with turtle scales! Created by notabujo on their Instagram page! Typically a collection is a bit more random and less re-occurring than a tracker. However, there are some occurrences where a collection may suit a particular need for a month. There’s the broken record (again!!!! ), but do whatever inspires you! No limits. Check out this awesome party collection that bumblebujo made on her Instagram page! I love using the month in review SO much I wrote an article about them. When you use a tracker, it’s critically important that you take the time to review the data from them and determine how you’re going to make changes and adjustments to the next month. You definitely do not want to continue trying to do something that isn’t working. Nor do you want to continue tracking something that you’ve mastered! Plus I enjoy getting the opportunity to write about what was good and bad about the previous month. If you haven’t started using one yet, you really need to! Also, note! These are for the end of your month. So I’m sure you’re wondering how you’re going to know how many pages to use before you add this one to your current month? You start by doing last month’s month in review first. Before you even start your cover page! 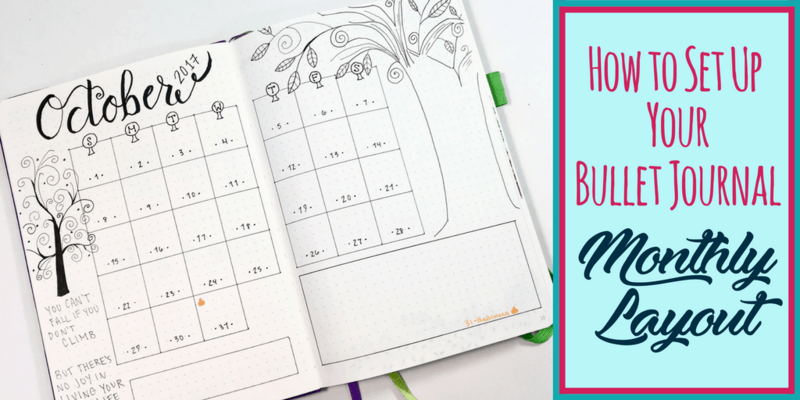 Create the layout, review your previous month, and then start in on your brand new month. My favorite part of bullet journals is that you get to choose what goes into it. Your monthly layouts are the same. You can follow my article to the letter and use all the pages I recommend. Or, you can forge your own pages. Be as creative as you want, and don’t forget to use Pinterest for inspiration! I adore Ashlyn’s desire to think outside the box and do different things! A beautiful monthly index shared from her Instagram page! I’d love to hear about what you do for your monthly layouts. What’s the page that you HAVE to have in order to start your month? Please let me know in the comment section! Please share it with your friends on Pinterest! Want exclusive freebies, special updates, and extra tips to help you plan the life you love? Join Planning Mindfully's email list to get all that, and more! Thank you for sign up! Email is on it's way to your inbox right now!